Jumbo-shaped Guild 12-strings stand as some of most recognizable Guild acoustics ever made. 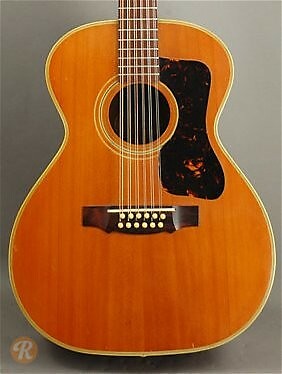 The F-212 came out in 1964 with Mahogany back and sides and a Spruce top. The F-212's body had a flat lower bout which differentiates it from the rounded bottom of the F-112. Note: Pictured Example is from 1969.